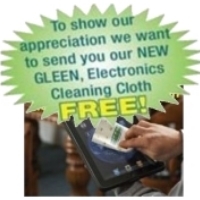 Get your free electronics cleaning cloth sample from Gleen Cloth. Click the link below to visit the page, then enter your contact information and the code is optional, to get this free product. Valid for U.S. shipping only.